Enter your travel details to get a quote. 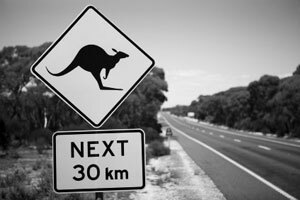 When travelling within Australia, travel insurance can seem like an unnecessary and foolish expense. Until you have to cancel some - or all - of your trip, have something valuable stolen, lose your luggage, or have a minor accident with the rental car. All of the above scenarios will see you out-of-pocket in the form of lost deposits, and other unplanned expenses, and all of them could be covered by a domestic travel insurance policy. What could be covered by domestic travel insurance? Cancellation of all, or part of, your trip. This would include recovery of prepaid expenses, including deposits. Travel delays, as a result of weather, strikes, and other unexpected events. Your flight might be rescheduled at no cost to you, but if you are forced to stay longer than planned, you will be responsible for accommodation, and related costs. Lost or delayed luggage, which happens far more frequently than one would hope. Loss of income. If your return is delayed for whatever reason, you could end up not being paid by your employer for any work days you miss. Car rental excess, in the case of any damage to the vehicle, whether the result of personal fault or not. Ambulance cover, which isn't standard in private health insurance, and is also not provided for by all state governments in Australia. What exclusions could apply to domestic travel insurance? As with any travel insurance policy, it is always wise to carefully read through the Product Disclosure Statement so you are aware of the claims process, along with any exclusions. Some domestic travel insurance only applies for Australian based trips of more than 250 kilometres, while others will have a limit on the maximum trip length, or an age limit for senior travellers. If part of your trip includes a cruise, you will either need to declare this, or consider taking out cruise travel insurance. And while domestic travel insurance doesn't include standard medical cover for Australian residents, pregnant travellers should still declare their pregnancy, since this may influence risk, and the cost of the travel insurance. The Product Disclosure Statement will state whether any pre-existing medical conditions need to be disclosed. Additional exclusions may apply to excess cover for car rentals. What does domestic travel insurance cost? The cost of domestic travel insurance policies depends on the level of benefits you require, your age, whether or not you only require cover for yourself, or for your partner too (dependent children are covered free of charge), and whether or not your trip includes a cruise. Comparing online quotes for domestic travel insurance is easy, and only requires the travel dates, and the ages of the adult travellers. If you expect to travel more than once in a 12-month period, you may want to consider multi trip annual travel insurance, which incurs a once-off cost, but provides cover for unlimited domestic trips in a 12-month period, making it more cost effective than individual policies for each trip.